Carpet beetles – they sounds like pretty serious invaders, but if you are picturing substantial shiny black visitors think again. Measuring just 3mm – these textile-loving insects are miniscule and coloured white and black. On account of their tiny stature, they are also incredibly difficult to spot. 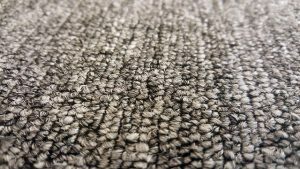 Should you be unlucky enough to suffer an infestation of carpet beetles it is far more likely that you will notice the signs of your unwelcome visitors before you manage to spot a carpet beetle itself. These small insects make their way into homes through unsealed entrances – think drafty window seals, open doors and settle down to work eating away at (more than likely) your soft furnishings. Fans of natural fibres, carpet beetles feast on textiles for the protein keratin and are a common household pest. Adult carpet beetles are mainly active through the summer from May to August when they will lay their eggs – usually under skirting boards, in wardrobes and under furniture. When these eggs become larvae they will hide away, munching away on whatever textile is at hand – be that your carpet, furniture or stored blankets or clothing. Tell-tale signs that carpet beetles have made themselves at home in your house include holes left in materials, faeces, and shed skins. They can also cause skin irritation similar to that caused by bed bugs. The best way to avoid an infestation is to pack clothes away carefully in air tight bags and to maintain a clean home – vacuuming regularly. Should you discover an infestation, vacuuming the area thoroughly will help. However, carpet beetles can be very difficult to get rid of so consider calling a pest control expert in who can treat the area with insecticide. If you are concerned you may have a problem with carpet beetles contact Pest Busters.